Instead of employing a pool of personals to sell or distribute defined goods such as tickets, refreshments, pharmaceuticals, and newspapers, kiosks provide the companies a mode to install a setup and get on with business in a more efficient and affordable manner. Particularly in the developed countries of the U.S. and Canada, wherein manual labor is expensive, the demand for kiosks has always been strong. With the recent advancements in these equipment and technologies that assure security of the products and maintain a seamless procedure, such as interactive kiosks, the demand is expected to flourish further in the near future. According to this business intelligence report, the demand in the North America kiosk market will expand at a notable CAGR during the forecast period of 2017 to 2025. This report on the kiosk market in North America is a comprehensive study of how the demand has evolved in the recent past and where it is headed. The analysts have provided a crisp executive summary detailing the lucrativeness of the market and then have analyzed all the factors that will determine the demand going forward. The report segments the North America kiosk market on the basis of application, gauges the potential of demand that can be expected from the country of the U.S. and the region of rest of North America including Canada and Mexico. 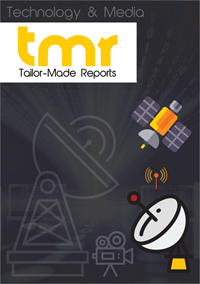 The report also contains a dedicated and featured chapter on the competitive landscape of the market, profiling some of the key companies for their product portfolio, market presence on the basis of segments and geography, recent strategic and historical roadmap, and revenue and operating profits. Growing interest of customers in self-service interactive kiosks, the benefits of cost effectiveness and efficiency to be available round the clock, bid for consumer product manufacturers to expand geographically, and proven ability of enhanced shopping experience for customers to increment sales are some of the key factors driving the demand in the North America kiosk market. On the other hand, high initial cost, need to maintain a standard, rising cybercrime incidences, and growing penetration of ecommerce since the growing ubiquity of smartphones and tablets are a few restraints obstructing the prosperity of the kiosks market in North America. The prospects of integration of intelligent personal assistant and knowledge navigator technology as well as rising development of interactive kiosks for physically challenged individuals are expected to open vast new opportunities in kiosk market in the region of North America. Application-wise, the kiosk market can be segmented into retail including inventory extension, gift registry, bill payment, loyalty, and automated retail vending and healthcare, which can be further bifurcated into wayfinding or directory, hospital information, patient check-in and check outs, human resource, patient or physician communication portal, and receptionist kiosk. Currently, the world’s third most populous country, the U.S., provides for the maximum demand in the North America kiosk market. The U.S. kiosk market provided for a revenue of US$2.3 bn in 2015 and the demand is projected to expand at an above-average CAGR during the forecast period of 2017 to 2025. Canada and Mexico are some of the other notable countries providing for a substantial chunk of demand in this market. Kontron AG, NCR Corporation, Slabb Kiosk, Phoenix Kiosk, Meridian Kiosks, ZIVELO, Optical Phusion, Inc. (OPI), RedyRef, Wincor Nixdorf AG, Olea Kiosk Inc., Fujitsu Ltd., Kiosk Information Systems, and Diebold, Inc. are some of the key companies operating in the North America kiosk market.